As we finish up a very Blessed Resurrection Sunday that we got to spend out of the hospital, I am realizing that (once again) I may have left out some important details. I’ve been asked quite a few times already, “What were the results from the Day 29 testing this past Friday?” Unfortunately, we don’t know yet, and won’t know anything until we sit down with Delaney’s doctor this coming Tuesday. We’ll keep you posted. Some of you don’t think that I take religion seriously enough. That is not my intent, as I realize there are people all over the world being persecuted just because they share the same faith I do. However, in spite of all my dumb jokes, I do take my relationship with Jesus very seriously. I am realizing that I only have two hours of Easter left in which even the heathens among you, will (hopefully) extend me a little extra grace so I better hurry up and introduce you to my new friends. When I first met Frank he shared with me that even the commuting back and forth to all the doctors appointments has been a blessing. During one of those trips, Angelo told his dad, “I don’t want to upset you, but I don’t know if I even believe in God anymore.” They discussed it openly for a while and Angelo suggested that maybe if he had some sort of sign, it would be easier for him to believe in a God he couldn’t see. Frank suggested that at the next red light, that they just take a minute to pray, and literally ask that God would send a sign for his son Angelo. A few minutes later, they hit a red light so they did just that. When their prayer was over, they opened their eyes as a truck pulled up on their left. Frank pulled out his phone to quickly snap the picture below. Happy Easter! 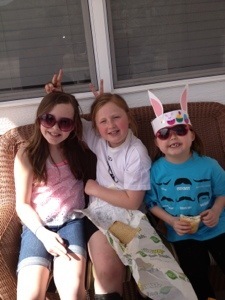 Happy early Easter everyone… WE’RE HOME!!!!! Day 29. Today is the day that determines our cancer future. It is the big crescendo of the first phase of Delaney’s leukemia treatment, and… it falls on Good Friday. And with that God, I’ve got to admit, you’ve still got it! Apparently, even cancer doesn’t wait for cancer. Long before now, today was marked on our calendar as the day we would be heading back to Children’s Hospital. Once we were there, Stacey and I would put on our brave faces for Delaney so hopefully she wouldn’t realize how serious the implications of everything she was about to have done to her, really were. Ha! The joke is on you cancer because we didn’t even have to make the commute to Children’s Hospital today, we were already here! Our eyes are already bloodshot from all the fun we have had over the past three nights, so why stop now?!?! Today they will draw more of Delaney’s blood, purposely make her unconscious, do a lumbar puncture, take bone marrow, and then give her more chemotherapy. Then later, they will also go about analyzing the blood, bone marrow, and cells and start counting how many cancer cells still exist. God willing, they won’t find ANY! But even if the doctors surprise us with the terrible news that Delaney’s condition has gotten much worse, or inform us that we won’t be able to bring her home for another 444 nights, or if the excruciating knee pain returns every night (it came back last night so we already got to go have X-rays done this morning), we know that God is still in control. People have commented about our faith through this whole (non) adventure. “I don’t think I could do it, how are you guys holding up like you are?” they’ll ask. If you don’t mind, and yes, I know many of you actually will mind, I’ll answer that by sharing a little about my faith. More specifically, why it has not and will not waiver no matter what the results of today’s tests are and no matter what tomorrow brings. Why? You’ve heard of that guy that was blind but can now see… well that dude is me. I was probably never really an atheist, but for most of my adult life, I just chose to live like one. Technically, I would be classified as an agnostic. I didn’t know for sure that there was no God (as the mountains, the fishies, puppies, and babies -without poopy diapers of course- seemed to necessitate some sort of Creator), but I definitely didn’t believe in God. Truth be told, I thought the Bible was a bunch of crap (to put it nicely). Some fables of the Aesop sort, to pass along to the kiddies to make sure they behave. Because this is Delaney’s blog and not “Tom’s testimony,” I’ll cut to the chase. Living like there was no God wasn’t exactly good for my marriage. After seeing three different marriage counselors and deciding there wasn’t going to be a fourth, we moved from Northern California to Southern California to make it easier on us when the inevitable divorce took place. However, shortly after the move, my brother invited me to his church (Saddleback Church in Orange County, CA). I went with him, but I was honest with him when he asked what I thought of the service, “it was fine… but I think the whole thing is based on BS!” He gave me a book to read called, “The Case for Christ” by Lee Strobel (also a former agnostic). By that point I had already checked out religious science, Buddhism, and a bunch of other stuff before settling on being semi-content as an agnostic, but I agreed to read his book. Contrary to other books I had read, this one didn’t try to use the Bible to prove its own validity, it used things outside the Bible (ie. history, archeology, and science). It quickly had me thinking, “if the Bible really is true, what does that mean about how I am living my life?” That was thirteen years ago this July. Needless to say my marriage, and my life, haven’t been the same ever since. Some of you more observant folks might be thinking, but you are not religious! You’re right. I’m not a huge fan of religion and the way it divides. Do you know that Delaney has Protestants, Catholics, Mormons, Jews, Muslims, homosexuals, heterosexuals, and just about every race praying for her? I am even less of a fan of most “religious” people, who want to go around judging people who sin differently than they do. I am actually in pretty good company there, because guess who else wasn’t a big fan of religious people: Jesus. Yes, that same Jesus who was crucified on the cross on that original Good Friday over 2000 years ago. By the way, the fact that he was nailed to the cross isn’t in dispute by any of those religions mentioned. What that crucifixion, and then the empty tomb, meant (and still means) is where their views differ. We may interpret differently a verse about the coming Messiah that was written 500 years before Jesus even walked the earth (Isaiah 53:5- He was pierced for our transgressions, he was crushed for our iniquities; the punishment that brought us peace was on him, and by his wounds we are healed.) I may just be impartial because of the “healed” part, but I believe that Jesus died for my sins and through his death and resurrection, I’ll be in Heaven someday with him (the way I am eating these days, “someday” will probably be sooner rather than later). So no matter what happens today, it doesn’t change the truly important thing. Cancer can’t compete with my God. Only HE can take something that looks like it is the worst thing ever (for example, Jesus being crucified on a cross, or the sweetest six year old ever having leukemia) and turning it into the best possible thing (like Resurrection Sunday or ?? ?… we’ll have to wait and see what he does for Delaney, but it’ll be great!). Have a great Good Friday. Say a prayer for Delaney, go check out The Case for Christ yourself, call your Mom, paint some eggs, bite the ears off a chocolate bunny, or do a little jig. Need a reason to dance, I’ll leave you with this, “Jesus came into the world to save sinners- of whom I am the worst.” It’s Friday… but Sunday is coming!!!!! What a difference 24 hours makes. Almost exactly 24 hours ago, Delaney was just nailing the impression of Linda Blair in The Exorcist. Our normally very sweet little girl was screaming at the top of her lungs, “IT HURTS!!!! AND THEY AREN’T DOING ANYTHING!! !” I am happy to say, our sweet little Delaney is back. It was an interesting day. Somewhere around noon we were informed that we could give up any hope of leaving the hospital today. They were pumping her full of antibiotics, but instead of her labs improving, they were getting worse. Around 2’ish her pulse and respirations started racing up. The docs came in… And had no idea why any of it was happening. The top doc ordered an X-ray and then later added a CT scan. Let me break away from my play by play for a second. I am learning a lot about this stupid cancer. Things like, just because labs are good one day, doesn’t mean they will be good the next. When you think about it, this really could be a life lesson for ALL of us! None of us know what the next day or even moment will bring. 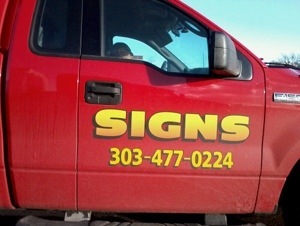 So Don’t wait… Go get your carpet diemed… Or shagged… Or whatever, but do it today. The other thing I am realizing is that there are just some things that I am going to have to get used to. However, there are other things that I have no interest in accepting as “normal”. All you parents can relate, but nobody wants to stand by helplessly while their child is in so much pain they are screaming. That was me again today when they were getting her ready for the CT scan. They force some sort of liquids (dye?) into her during the actual scan. That part didn’t bug her. When they put whatever it was that was going to allow them to get the liquids into her, THAT was very painful and had me attempting to put on a strong face for her, but it was very tough. Anyway, long story short, the CT scan didn’t reveal anything so we are basically back to square one where they really don’t know what is going on. However, Stacey gave her a bath tonight and it did wonders for her. Her fever went away (oh yeah… I forgot to mention she spiked a fever of above 100 something), her color came back, and she started to be her usual self again. At 8pm, she was even given the update that she could eat again (talk about your cruel jokes: give a kid a bunch of steroids to make them famished, but then tell them that they can’t eat anything). I was going to end this post with a pic of Delaney getting her CT scan. However, I came across this pic from last year that does a much better job of letting you get to know Delaney (as a person and not just her cancer). I figured since I shared one of the worst parenting moments, it was only fair that I got to share one of the best ones too. Probably one of my favorite things in the entire world Pre-cancer was coming home at night. Delaney and Ashley usually had a brief disagreement that went like this, “no, me first, me first!” They would argue about who literally got to run into my arms first. 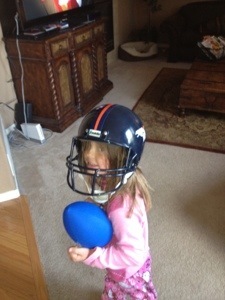 When it was Delaney’s turn we always pretended we were on her favorite team, the Denver Broncos. Then Delaney would assume the Pre-hike stance, and from about 25 feet away, I would loudly announce, “BLUE 42… SET… HUT HUT!! !” Then, as fast as her little legs would carry her, she would sprint to me where I would lift her up high into the sky and we would both just laugh with joy. Those are memories I will cherish forever. …that’s all I can say. The doctors still have no idea what’s going on with Delaney, who is in good spirits (but very hungry) this morning. Starting yesterday with when the medics dropped her off and deferred to Stacey to fill in the ER docs, to now every time the docs and nurses come in they seem to look to her for guidance and feedback. The past 15 years have definitely served her well to prepare her for this, and today I will thank God for blessing me and my entire family with my beautiful and very smart wife! 12:01 is technically a new day right? So I know that I said that the last update was going to be it for the night, but that was yesterday. It is now Wednesday, so I am allowed one more update. I am learning cancer doesn’t necessarily work on our schedule. If you’ll recall from my last update, Delaney was in good spirits, catching a little snooze, and I was going to catch up with all of you after tomorrow’s labs, or after we heard from the doctor or something. Well after sleeping for almost three hours she woke up and casually mentioned that her knee hurt. Two minutes later, she was screaming that her knee hurt. If you don’t know Delaney, she’s a pretty tough kid. For example, almost a year ago, we were going to ride our bikes to the concert in the park. Her training wheels had been off for a couple of months and she was ready for a real bike ride. As we headed down a hill by our house, she hit a patch of gravel and literally went end over end on her bike before smashing her face into the gravel. She got up, was visibly shaken, and then cried for maybe all of five minutes. Tonight, she screamed at the top of her lungs for an hour straight! She wouldn’t let the doctors even touch her knee to examine it. It was one of those heartbreaking moments as a parent when your child is in so much pain, and you can do absolutely nothing about it. Then, after a little over an hour, she was completely fine. What caused her pain? Some possibilities that were thrown out there: a blood clot, joint pain that sometimes happens at the end of the induction phase, or an infection in her blood. No real answers yet; hopefully they will come later today. For now, she is peacefully catching some shut eye, and I think that I’ll join her. Good night moon. Okay, I’ll back up and share what happened earlier today to help explain what in the heck we are doing back in the hospital. Delaney woke up this morning and was doing great! She had her usual Denver Bronco lineman’s breakfast and then started on some Legos. It was actually really cute as Stacey was working from home and sitting at her laptop and Delaney was sitting next to her also “working” on her Legos. I went in to work and the day was going about like a normal day. After lunch, she was in pain, which isn’t unusual. The pain started getting a lot worse, so her sister went and got Stacey. When Stacey went to check on her, she quickly started going south. She went from seriously not knowing if she was even awake or asleep, telling Stacey to stop poking her (even though nobody was even touching her), to just being incoherent. Her pulse was racing, breathing was labored, and she was in a ton of pain. Stacey called the helpline number they gave us and they instructed her to call 911 and get her to the ER immediately. Anyway, after her labs, X-rays, and examinations, they still don’t know what is going on with her. It might be an infection, toxicity from the chemo, tiflitis (sp? ), or she might just be full of poop (I’m pretty sure she gets that from her Mom’s side of the family). We are here at least one night while they observe her and try to figure out what is going on. She was in good spirits because a (former) friend brought her a Smashburger before the doc was able to order clear liquids only. I say “former” friend because she asked if Stacey and I wanted anything and actually thought I was kidding when I answered, “wine.” You are dead to me Ned.